Symptoms of Carpal Tunnel Syndrome can range from moderate tingling to painful sensations in the hand and thumb, or wrist and forearm. If you are experiencing these types of symptoms, it's time to see a specialist at The Hand Center at Danbury Orthopedics. Carpal Tunnel Syndrome is caused by excessive pressure on the median nerve in the wrist. This compression leads to numbness and tingling in the thumb and fingers. Pain in the wrist may also occur and can radiate up the forearm. In severe cases, thumb muscles may weaken and shrink. Depending on the condition, carpal tunnel syndrome can be treated with anti-inflammatory medications, injections, physical therapy or surgery. Carpal tunnel release is a surgical procedure that reduces the pressure on the median nerve. Because the effects of Carpal Tunnel Syndrome worsen over time, it's best to seek help early. You'll find dedicated specialists, leading-edge diagnostic tools and the full range of treatments, all conveniently located at The Hand Center. 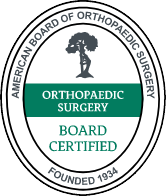 Our skilled physicians specialize in conditions of the upper extremity, from shoulder to fingertip, and are subspecialists in the latest surgical procedures of the hand. Our offices are equipped with today's most advanced medical technology, including state-of-the-art imaging to support diagnosis and proper treatment. For over 20 years, The Hand Center has maintained a reputation for excellence. As part of Danbury Orthopedics, we offer our patients a complete spectrum of care, from superb diagnostics through treatment and rehabilitation, in a comfortable, convenient and supportive setting. Learn more about The Hand Center.